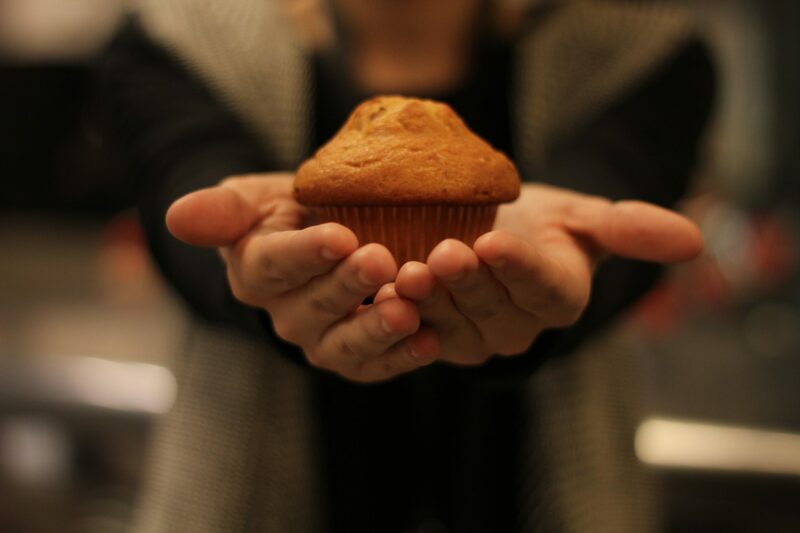 This thursday, let’s make healthy muffins for family and friends. Canola or vegetable oil spray scant 1 cup all – purpose flour, ½ tsp baking powder scant, ½ cup whole wheat flour, ½ tsp ground allspice, 1 tbsp canola or vegetable oil, 1 egg, lightly beaten 2/3 cup buttermilk, 1tsp grated orange zest, 1 tbsp freshly squeezed orange juice, 1tsp Ayurvedic Jam (Amrutam Gold Malt), for glazing. Generous 1/3 cup 0% fat strained plain yogurt, 1tsp Ayurvedic Jam (Amrutam Gold Malt), scant ½ tsp grated orange zest, scant ½ cup fresh raspberries. How to make the muffins? Step 1: Preheat the oven to 325 ⁰F/160⁰C spray a six –hole muffin pan lightly with oil. Step 2: Sit the all – purpose flour with the baking powder into a large mixing bowl. Step 3: Using a fork, stir in the whole wheat flour and allspice until thoroughly mixed. Pour in the oil and rub into the flour mixture with your fingertips. Step 4: In a separate bowl, mix the egg, buttermilk, and orange zest and juice together, then pour into the center of the flour mixture and mix with a metal spoon, being careful not to over mix – the batter should look a little uneven and lumpy. Step 5: Spoon the batter into the prepared pan to come about three quarters of the way up the sides of each hole. Bake in the oven for 30 minutes, or until golden brown and a skewer inserted into the center of a muffins comes out clean. Step 6: Remove from the oven and transfer to a wire rack. Brush with the Ayurvedic Jam (Amrutam Gold Malt) and let cool. Step 7: For the filling, mix the yogurt with the Ayurvedic Jam (Amrutam Gold Malt) and orange zest. Cut the warm muffins through the center and fill with the yogurt mixture and raspberries. Visit our blog again to read more such healthy recipes and much more..